Express Service – No Appointment Necessary! Trust the experts at Clawson Honda of Fresno with the care of your car and you’ll enjoy smooth cruising through California and beyond. 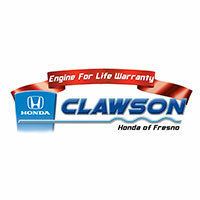 At Clawson Honda of Fresno, treating our customers with equality and fairness is our priority not only in our actions, but also in the prices we charge for auto repair. Fresno area customers know that our certified technicians can perform fast, accurate service that ultimately reduces overall costs without compromising the quality of the repair. Our team will always be open and honest about the estimated cost of your vehicle’s repair, and we will contact you prior to performing any additional services. So when you ask yourself, “Where’s the best place to get my vehicle repaired?” you can count on the answer being Clawson Honda. For over 40 years, our auto repair service department has provided our community with the highest level of service that our customers depend on. At our Fresno auto repair shop, we are happy to perform auto service on all different vehicle types, no matter what the issue may be. Our technicians have the training and expertise to provide a wide-range of services for all vehicle makes and models, so you can be confident that your vehicle receives the individual attention it deserves. In addition, we have all the vehicle specific diagnostic tools and nationwide warrantied parts to ensure your car is repaired as accurately as possible. From oil changes to wheel alignment, engine rebuild to transmission repair, our expert technicians can do it all!